Roli have a nice little offer available for anybody wishing to jump into world of the funky 5D-touch Seaboard Rise controllers. Unfortunately Roli hadn’t sorted out their website at the start of the promo so I held back from making a song and dance about it but that situation has now changed and the site is alive and kicking. Any purchases of the Seaboard Rise 25 and 49 between October 23rd and December 24th are eligible for £75 and £150 cashback respectively from Roli. That’s not bad at all to be fair! For anyone not aware of these controllers they are pretty unique all things considered. the keyboard is made of a pressure-sensitive squishy grey, sensor embedded material that allows you to shape sound through touch – strike the keywaves, press into them, glide sideways along them and slide up and down the keywaves to venture into new sonic territory. 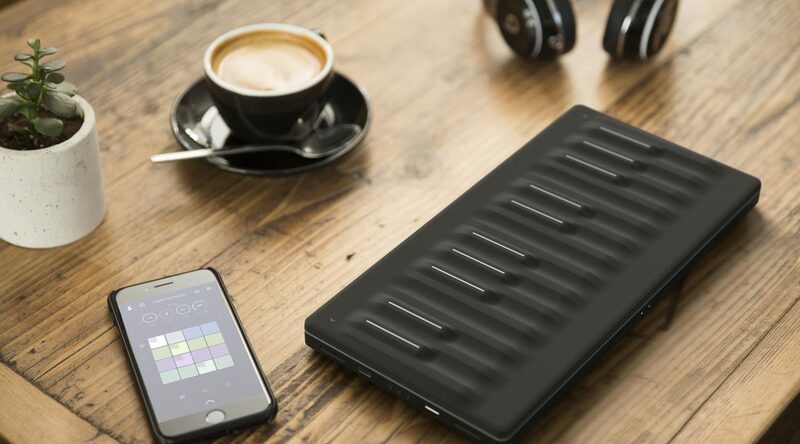 Of course this is no good without an MPE (Multidimensional Polyphonic Expression) compatible synth so Roli have kindly included Equator, their custom-built software synthesizer and sound engine. A perfect companion for these otherwordly keybeds! After purchase, simply visit https://rolicashback.com to redeem the offer. You can find the Roli Seaboards here!